Throughout the process of building a new construction project, it’s easy to get caught up in the details of the work and focus less on the people who will eventually be utilizing the space. Historically, there has been a disconnect between those who build something and those who use it; however, the industry is making strides toward bringing these two groups together for a more collaborative approach. The first step in understanding the needs of the operational team, is to put yourself in their shoes. Gain insight into what matters to them by having a conversation about their needs and wants. While there is a checklist to follow based on the project proposal and bid, there is plenty of room for creativity to accommodate what the operational team has identified as must-haves. 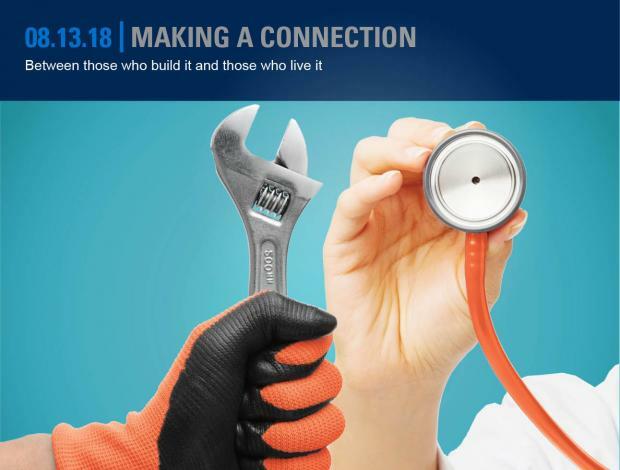 On a current healthcare project in Charleston, South Carolina, the MMC Contractors project team participated in a program called “Connect to Purpose,” in which they were allowed the opportunity to shadow nurses in the NICU. Not only did the team gain insight on how they can improve the design to accommodate the needs of the nurses, the glimpse into how those end users will use the space fueled the team’s motivation and passion for their jobs. Witnessing the life-saving support the hospital will provide to the community makes the project much more personal. The tour was very touching for the MMC Contractors team and was a reminder of how their work impacts the community. Service departments are often the ones responding to requests from clients looking to improve a current system or alleviate a problem in a building. They work closely with the occupants in identifying the need. This kind of value engineering is just as much about making the building better, as it is about building relationships with clients. Corey Christensen, facilities manager with OrthoNebraska, is familiar with this process. The physician-owned hospital recently reached a point in which the 16-year-old equipment wasn’t running as efficiently as they needed. It was a struggle to maintain the 62-degree operating rooms that doctors requested and the chillers were unreliable, at best. After identifying their needs, Christensen and his team worked closely with their engineering partners and MMC Contractors – Nebraska to determine the right way to improve their systems. Throughout the planning and implementation, Christensen was the liaison between the construction team and the hospital’s physicians. He maintained thorough communication around the projected scope-of-work to ensure the doctors remained part of the process. Analysis and review of the needs of the operational team helped guide the mechanical and engineering teams to come up with the best solution. With project work underway and system improvements already making a difference in the efficiency of the hospital, that extra effort is already paying off.